Every child, parent, teacher and support staff has a role to play in creating a learning environment that encourages children to realise that they have the potential to be capable of sheer genius. We want children to understand that they won’t be successful at everything they do. We want them to get things wrong and that they can become smarter through their mistakes. We want children to try and to keep trying. Learning is some of the best fun there is. We want to challenge children to achieve academically by making the learning interesting; even the boring bits. We believe that a child’s attitude and interest in learning can lead to greater success. We put great teachers with great students to ensure each student has an opportunity to unlock their genius. We take an innovative approach to all things and are constantly searching for better ways of teaching and learning. 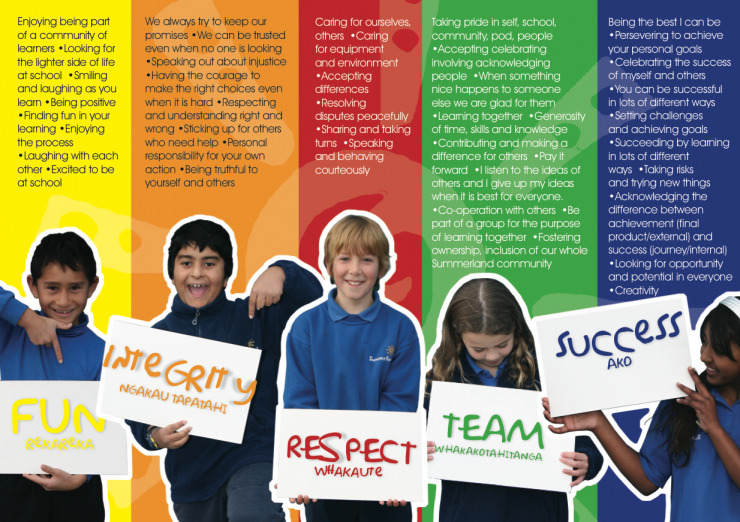 Our staff is passionate about being the best they can be and to adapt their teaching to cater for all students. To achieve this at Summerland, we work as a team – a team that is made up of many individuals where the whole community is greater than the sum of its parts. We encourage parents to be an integral part of the learning process and we recognise that parents are their child’s most important teacher. The success of Summerland students in all areas of school life has, at its foundation, an ethos of hard work and discipline. Every child is encouraged to set their own goals and expectations and given the encouragement and support they need to achieve. Success is celebrated and rewarded.